As we all know, river stone is widely used in building, cement, highway, chemical industry. With the further development of industry, investors exploiting river stone have grown larger. 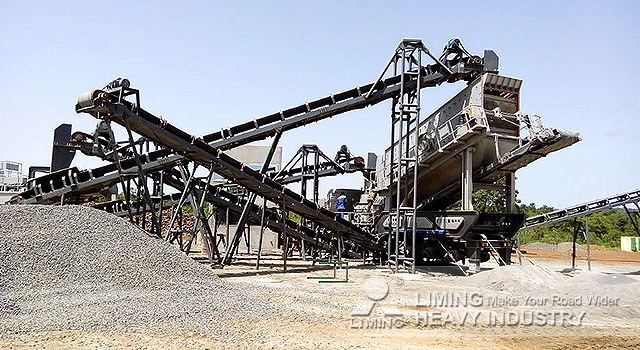 According to this market trend, Liming Heavy Industry supplies mobile crushing line for river stone processing. Mobile Crushing line is suitable for the case that project location should be changed frequently. This plant include vibrating feeder, primary crusher, secondary crusher and vibrating screen together, which provides holistic solutions for clients. According to the customer's production needs, we can develop a better, more cost-effective selection program, and give customers scientific and reasonable prices for your river stone mobile crushing line processing project to create more market profits. If you are interested in the river stone mobile crushing line, you can click on the online customer service for a detailed consultation. <<Next：How to set up a calcium carbonate plant?